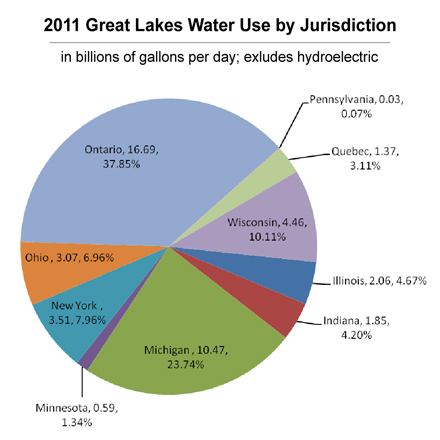 This chart shows the breakdown in gallons and percentages of 2011 water usage in each Great Lakes region. Image: Great Lakes Commission. Does this include bottled water? Thanks for summary of report. Love the bottom line.